Your library offers a collection of online resources designed especially for kids. Grab your library card and check out these databases and websites that can help you with your homework, lead you to something to read, or just provide some fun! With 8,500+ interactive books, educational games, puzzles, and other learning activities, ABCmouse.com’s award-winning online curriculum is an invaluable resource for young learners (ages 2-8+). From Age of Learning, Inc. This resource is only available inside the library. Designed for elementary school students, Explora Primary Schools includes content from a variety of resources and offers an browsing interface suitable for younger students. An easy-to-use resource for young learners covering subject categories such as animals, arts, geography, health, literature, people, social studies, technology, and more. The featured content includes images, kid-friendly charts and graphs, and more than 600 high-quality educational videos from books, magazines, and news periodicals. 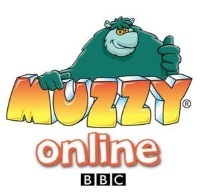 MUZZY is an internationally recognized language learning program created for children. It is modeled on the way we all learned our first language. By employing a natural immersion approach, MUZZY surrounds the learner with visual, aural and contextual language. Early World of Learning offers an interactive learning environment for children in preschool and early elementary grades, which includes resources to help them grasp critical early childhood themes while developing reading and oral language skills. World Book Kids is a general reference website developed especially for kids. The site offers simple search and browse navigation, easy to read articles with embedded multimedia, thousands of illustrations, and a wealth of engaging learning activities, illustrations, diagrams and maps.